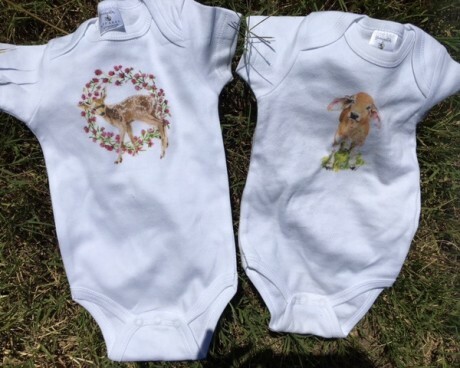 These bodysuits are made of the softest cotton for the newest Texans! 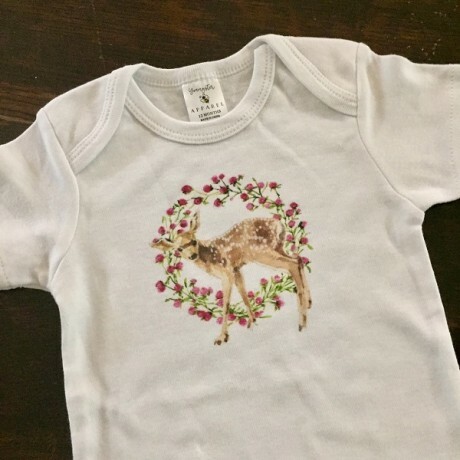 Features original artwork of a whitetail fawn surrounded by flowers by Suzanne Simmons. Three sizes available.